Ever wanted to tell a major international mobile phone maker exactly the style and specs of the mobile phone you’d like to see made? Now’s your chance. Kind of. Nokia, on their Conversations blog, have started up a new project, called ‘Design by Community – creating the ultimate concept device’. But, and this is where the ‘kind of’ I mentioned above comes into play, they won’t ACTUALLY make the device. And no, the plan isn’t to actually make the product, this is more an exercise in collaboration sprinkled with some future thinking. More than anything, it’s a bit of fun. 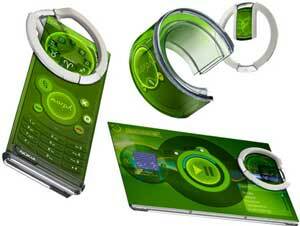 But it has stirred up the Nokia community, judging by the firmly stated opinions in the blog’s comments. If you want to take part, visit the Design by Community – creating the ultimate concept device site (site will open in a new window). The guys at SlashGear had fun with this, mentioning that the resulting phone could very well be the smartphone version of The Homer.